Men's Fleece Pullover Just $9.96! Down From $65! You are here: Home / Instagram / Men’s Fleece Pullover Just $9.96! Down From $65! Men’s Fleece Pullover Just $9.96! Down From $65! 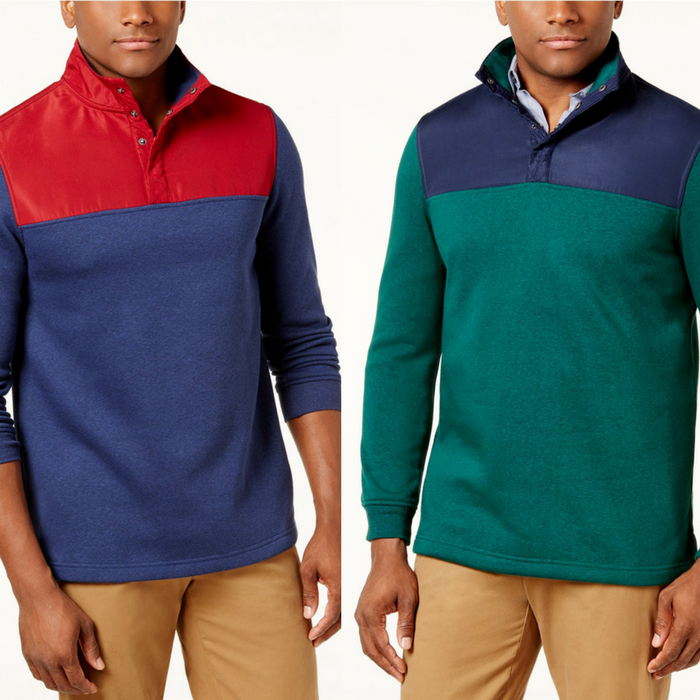 Bold colorblocking and a water-repellant finish make this mock-neck pullover from Club Room the perfect choice to brighten up your style when the weather turns gray.